Urology Electronic Medical Records (EMR) Software are designed to meet the unique needs of urology practices while streamlining workflow to get financial and operational benefits from the practice. Urology requires a large number of data storage and management along with better integration with labs, pharmacies and diagnostic equipment for transparent data information sharing. 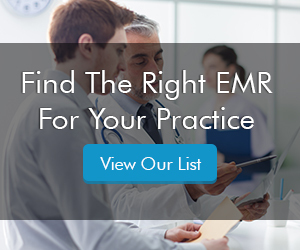 Urologists can use the Electronic Health Records (EHR) software with a robust Practice Management (PM) software that will improve office workflow through efficient scheduling, billing, and better patient communication. The software must contain urology specific EMR templates. The templates make it easier for urologists to take SOAP notes quickly and without error. These templates cover a vast range of urology specific ailments including Vasectomy, UTI, Infertility, Incontinence, Hematuria, Prostate cancer, Renal stones, etc. The Urology EMR Software must offer a strong lab interface that will allow urologists to send customized order sets of tests that need to be conducted on each patient. This also allows quick import of patient results that can be stored and managed automatically in their files. The top Urology EMR Software should be able to automatically receive results of electronic urinalyses, kidney MRIs or other medical tests. Before adopting EMR software, you should make sure that it is compatible with all your urology reports and devices. The Top Urology EMR & PM software must include a real-time dashboard which will help urologists to clearly view patient charts, profiles, billing processes, scheduling etc. all at one place a click away. The dashboard also saves the time that is taken in opening multiple tabs.